The Ferrari F40 is one of the most coveted rare supercars on earth. If you own one, you should do snownuts in it. 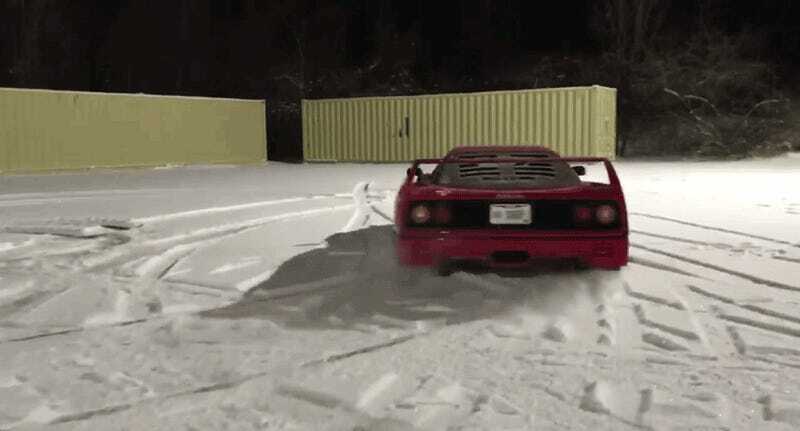 Here is a 1990 F40 doing it right: going out in the snow to slide around. It is not kept behind a garage door, hidden from all but a privileged few. No! 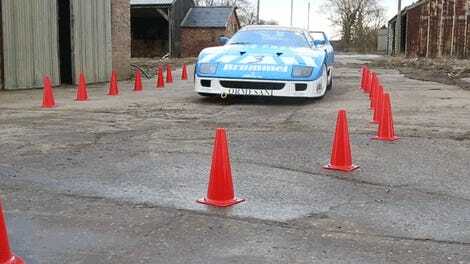 Its magical twin-turbo V8 engine note was recorded hooning around for all to enjoy. The driver may not be a donut master, but that’s okay. He’s out there, enjoying one of the most excellent cars ever made in the snow. Did you get blasted with snow today? You, too, could be Hoon of the Day. Send us your snownuts: tips@jalopnik.com.